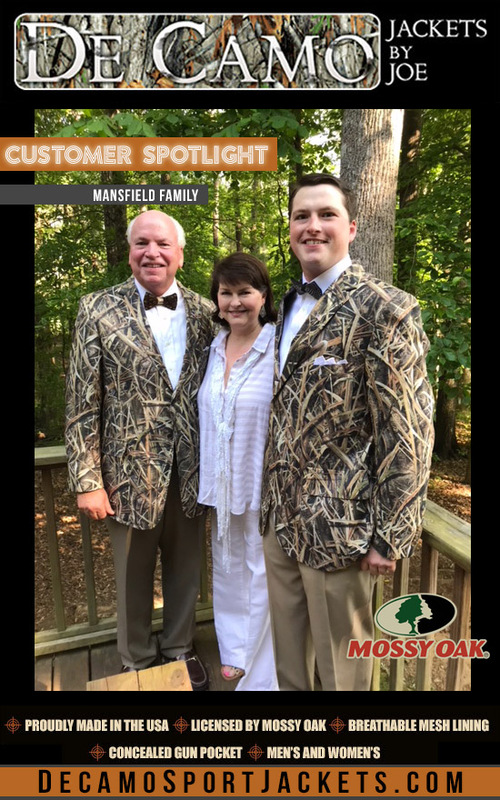 Customer Spotlight: Mansfield Family at Burge Plantation In Mansfield, Georgia. This is a true start-up family business as our children wear the jackets to help generate awarness. The camo jacket attracts people like metal to a magnet.